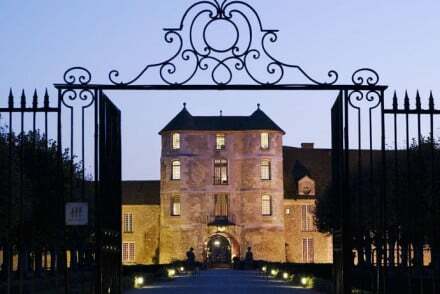 250 year old former inn located in the scenic village of Saint-Ouen-sur-Morin. 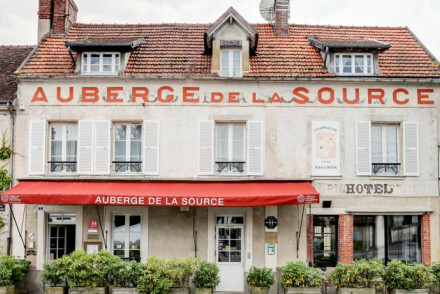 Nestled between the Champagne region and Paris, come here for some wine tasting or as a useful stay outside the pricey city. Rooms are decorated with sleek antiques and neutral hues - a modern influence on the old inn. 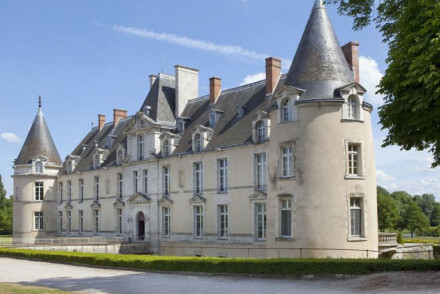 Hidden away in a secluded estate in Bures-sur-Yvette, is the delightful Chateau de la Vierge. The homely family-run B&B brims with personality and its individually decorated rooms are characterful and comfortable. The bounding garden is a great place to relax on a hot day. A quiet, calming B&B. Total relaxation - The secluded setting amidst a three acre parkland, makes it perfect for a relaxing break in Ile de France. Sights nearby - Fifteen miles from Paris, the French capital is within easy reach for a day trip. 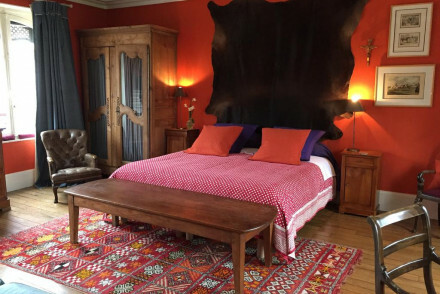 An intimate two bedroom property located within striking distance of Versailles Château Rive Gauche Train Station for direct links to Paris. 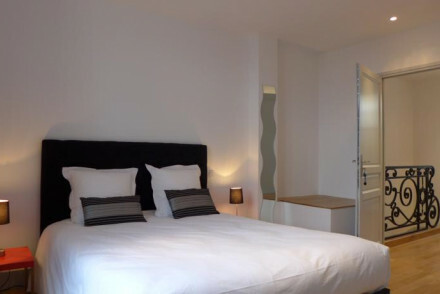 The design is simple with crisp white bed linen and modern bathrooms. A small kitchen provides guests with a hearty breakfast. A convenient resting place. A beautiful medieval house B&B in a UNESCO listed village. Traditional interiors are full of charm with their big open fireplaces, stone walls, tiled floors, and large wooden beams. Rooms, suites, and two cottages are individually decorated and ideal for couples, families, or groups of friends. Families - A couple of the suites sleep four people. 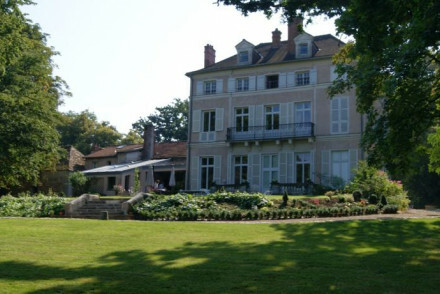 A cosy and comfortable hotel, set in a beautiful park in Neauphle-le-Château. Rooms feature antique-style décor, four-poster beds, grand mirrors, large windows and fireplaces. An on-site restaurant serves traditional cuisine. Chic and charming. Romantic Break - A romantic retreat with plush, stylish suites overlooking the Mauldre Valley and gourmet cuisine in the fine dining restaurant. 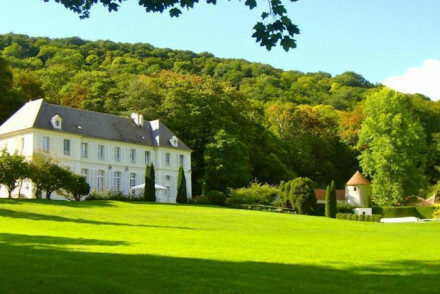 Short fly break - Only a short drive from Paris, a perfect weekend getaway. Great walks - Explore the three hectare park that surrounds the property. Come for the homely vibe. The owners are welcoming and helpful, the location is superb and the breakfast delicious. The rooms are comfortable with great views overlooking the city and spacious showers in the bathroom. A garden to enjoy breakfast outdoors in summer months. Local exploring - In the heart of the historical district of Versailles, it is close by to important sights, restaurants, shops and markets. Families - Ideal for families- plenty of games and dvds available, reserve Leon's Room along with the Louise's Room. Sights nearby - The Palace of Versailles and The Cathedral, located moments away, are both must see's! Local markets - Hunt for unique antiques at the Saint-Ouen Flea Market. A rural escape found within pretty meadows and woodlands. The rooms feel contemporary with pale wood and plenty of glass. The restaurant's cuisine is all hand picked from the garden and seasonal, while the spa boasts a Nordic bath and hammam. An idyllic stay. 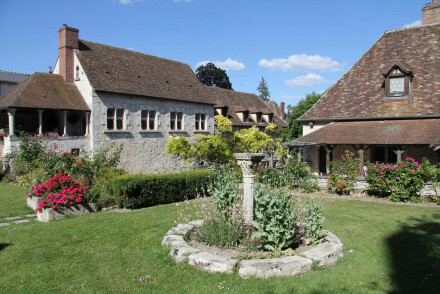 The historic Charmilles des Cordeliers makes a delightful peaceful B&B. The rooms are appointed with charming bespoke furniture, feeling rustic and homely. Explore the captivating city of Versailles or take a day trip into Paris. 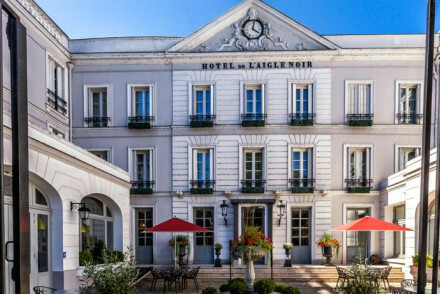 Perfect for a intimate, romantic break in France's old royal capital. Local exploring - Perfect for exploring the rich history and culture of Versailles, the former seat of the French monarchy. Local markets - Bargain hunters will enjoy a trip to the Saint-Ouen Flea Market. 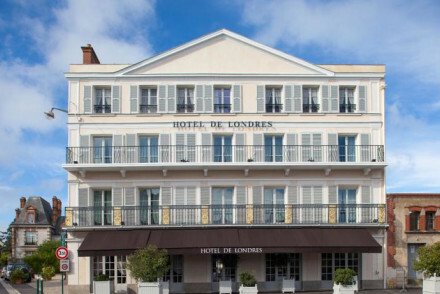 Sights nearby - Take a day trip into Paris city centre, twelve miles away. 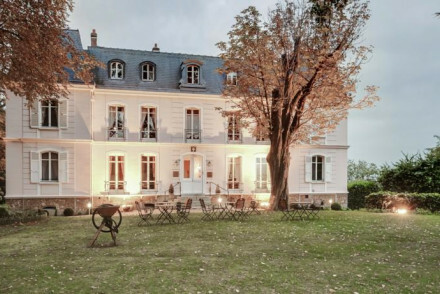 A picturesque B&B set amidst a rolling parkland estate in Ile de France. Chateau du Saulsoy is perfect for a relaxing weekend away, with plush rooms, a beautiful outdoor pool and lovely surrounding countryside. Brimming with charm and character. 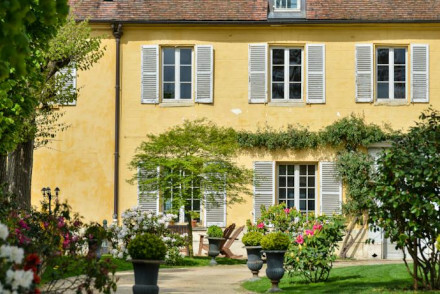 Country Escape - Astride the banks of the Marne and set on a picturesque seven hectare estate, it's perfect for a country escape. Families - Perfect for families, the family room has a cot and baby bath and the games room has billiards and kids toys. 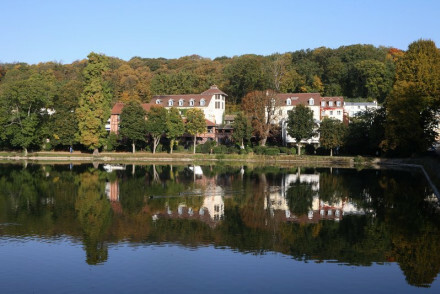 Great walks - Make the most of the beautiful walks all along the River Marne and through the expansive grounds. Sights nearby - Paris is within easy reach for a day trip by car. 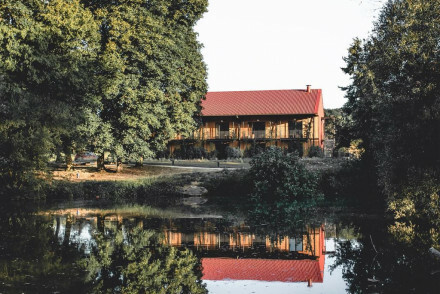 A stunning historic house made from timber in a small hamlet just in between Versailles and Paris. 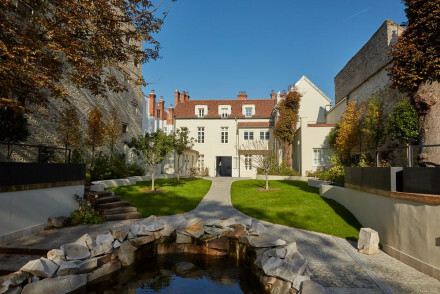 Beautiful landscape includes ponds, courtyards, and woodlands to explore. Luxurious rooms and suites decorated with elegance. Michelin star restaurant, top of the range spa, and romantic views. Lakeside - A privileged lakeside setting with romantic views. 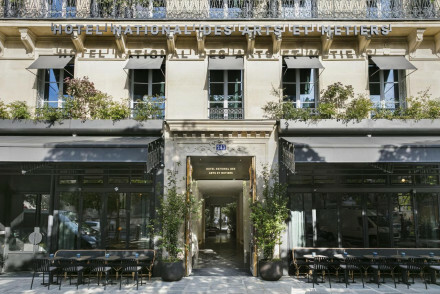 Foodies - Le Corot Restaurant has a Michelin star. Spa breaks - A top of the range spa. 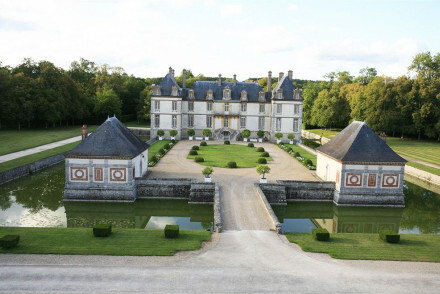 A striking chateau resplendent within its own moat and manicured grounds. 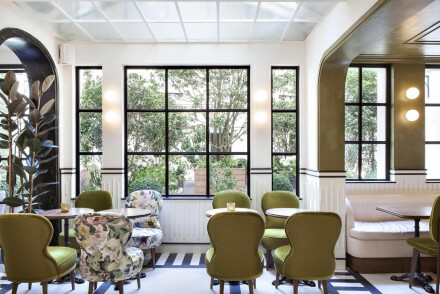 Individually designed rooms with classically French style: chintz wallpaper and fabrics, beamed ceilings and pretty pastel colouring. Regional cuisine and wines. Numerous activities onsite plus a spoiling spa. Glorious. Total relaxation - Unwind in the spa or during an amble around the grounds. Dine on fine French cuisine and regional wines. Bliss.